On March 5, 1770, after being harassed for two years during their occupation of Boston, British soldiers finally lost control, firing into a mob of rioting Americans, killing several of them, including Crispus Attucks, a runaway slave and sailor, the first African American patriot killed. The aftermath of this ‘massacre’ led to what was eventually the American Revolution. The importance of the event grew, as it was used for political purposes, to stoke the fires of rebellion in the colonists and to show the British in the most unflattering light. 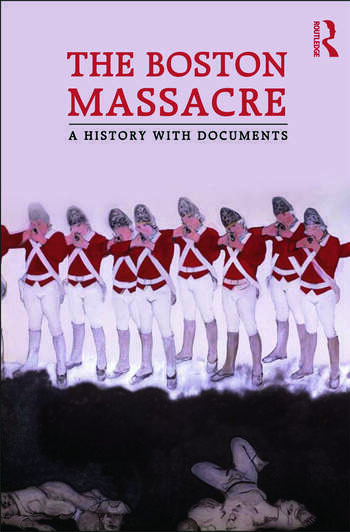 The Boston Massacre gathers together the most important primary documents pertaining to the incident, along with images, anchored together with a succinct yet thorough introduction, to give students of the Revolutionary period access to the events of the massacre as they unfolded. Included are newspaper stories, the official transcript of the trial, letters, and maps of the area, as well as consideration of how the massacre is remembered today. Neil L. York is Mary Lou Fulton Professor of History at Brigham Young University in Utah. He is the author of Turning the World Upside Down: The War of American Independence and the Problem of Empire.